A Summary on Urban Sanitation in Bo City, Sierra Leone: A Study on Knowledge, Attitude and Practices, 2015. Contact wash@welthungerhilfe.de to request the full report. of households are often not meeting minimum standards3. The capacities and infrastructure of the public and private sector to efficiently address these challenges are insufficient to ensure the provision of quality services to the residents of Bo City. There is also very little knowledge and information about concepts like reuse, recycling, waste minimization and separation. Strategies to improve household solid and liquid waste management in Bo City and its environs are recommended to consider these identified deficiencies. One focus should lie on increasing the knowledge on health and environmental implications of inadequate solid and liquid waste management. It will be prudent to encourage community involvement in waste management whereby the communities have a sense of responsibility towards their own health and environment. Another aspect is to improve government involvement through provision of sufficient funds, equipment (especially for sludge emptying), capacity building and manpower, and to create an enabling environment for private investments in solid and liquid waste management including the waste collection, transportation, trading, reuse and recycling sector. Information needs to be disseminated on methods and practices of reuse and recycling and local markets for waste traders and recyclers need to be further developed. Steps taken in these directions could help to achieve improved sanitary conditions in Bo City and its environs and also reduce the spread of preventable diseases. 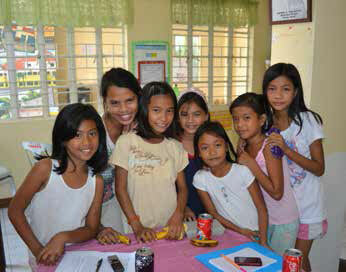 strengthening MHM-related programming in schools in those countries. Emory University sent research fellows to work with UNICEF and its in-country WASH in Schools partners on the programme. The assessment activities conducted and themes explored were guided by an ecological framework that covers societal, environmental, interpersonal, personal and biological factors. Questions for qualitative data collection were created to investigate and understand the personal challenges and needs girls have during menstruation in the school setting. Bolivia – Long, Jeanne, Bethany A. Caruso, Diego Lopez, Koenraad Vancraeynest, Murat Sahin, Karen L. Andes and Matthew C. Freeman, ‘WASH in Schools Empowers Girls’ Education in Rural Cochabamba, Bolivia: An assessment of menstrual hygiene management in schools’, United Nations Children’s Fund, New York, November 2013. Philippines – Jacquelyn, Bethany A. Caruso, Anna Ellis, Murat Sahin, Jonathan Michael Villasenor, Karen L. Andes and Matthew C. Freeman, ‘WASH in Schools Empowers Girls’ Education in Masbate Province and Metro Manila, Philippines: An assessment of menstrual hygiene management in schools’, United Nations Children’s Fund, New York, November 2013. Sierra Leone – Caruso, Bethany A., Alexandra Fehr, Kazumi Inden, Murat Sahin, Anna Ellis, Karen L. Andes and Matthew C. Freeman, ‘WASH in Schools Empowers Girls’ Education in Freetown, Sierra Leone: An assessment of menstrual hygiene management in schools’, United Nations Children’s Fund, New York, November 2013. Despite the widespread implementation of Community Led Total Sanitation (CLTS) programs and many claims of success, there has been very little systematic investigation into their sustainability. A new study, which aims to change that, is creating a stir in the WASH sector. 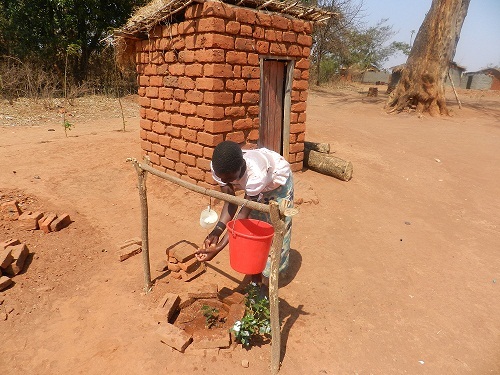 A study commissioned by Plan International on the sustainability of CLTS programs in Africa revealed that 87% of the households still had a functioning latrine. This would indicate a remarkably low rate of reversion (13%) to open defecation (OD) or “slippage”. Adam Smith International are procuring for external evaluators (consultants or firm) to evaluate the Sierra Leone WASH Facility. The Facility, which has a total budget of £5 million (US$ 8.4 million), is managed and administered by Adam Smith International, on behalf of DfID and the Government of Sierra Leone (particularly the Ministry of Water Resources, and Ministry of Health & Sanitation). The evaluation covers the Facility mechanism itself, and its portfolio of 36 projects funded by small grants all less than £200,000 (US$ 330,000) each. It is expected the evaluation will require approximately 60-80 days total level of effort. Organisations or individuals that have been financed by the WASH Facility cannot apply. For full details and application guidelines please consult the attached Terms of Reference. Please do not send applications or requests for information to Sanitation Updates. The African Ministers’ Council on Water (AMCOW) needs the services of a training service provider to carry out a sanitation and hygiene policy training. Focal persons in Burundi, Chad, Sierra Leone and Zimbabwe need to be brought up to speed on drawing up plans and strategies . train the focal countries on the process of developing a policy document and costed implementation plans and strategies for ending open defecation in those countries, and how to operationalise them. The assignment supports a US$ 2 million Gates Foundation funded policy and advocacy project being implemented by AMCOW . Closing date for receipt of applications is March 7, 2014. Read the full Terms of Reference. Please do not submit applications or requests for information to Sanitation Updates. African Governments are failing to keep their funding promises on sanitation, a new WaterAid report has revealed. The report warns that unless investment is increased, the challenges of urbanisation, climate change and most critically population growth risk turning the clock back on sanitation access even further(1). From 1990 to 2010, the population of Sub-Saharan Africa grew by 340 million, however only 130 million people secured access to sanitation over the same period(2). 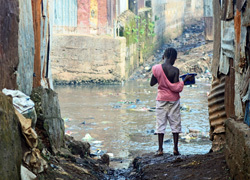 In total nearly 600 million Sub-Saharan Africans – 70% of the population – are without access to a safe toilet(3). The Keeping promises: why African leaders need now to deliver on their past water and sanitation commitments report uses official Government figures from five African Governments – Ghana, Niger, Sierra Leone, Rwanda and Uganda – to show that funding on sanitation is falling short of government commitments across the continent.